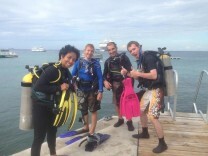 During the Divemaster program with Go Pro Cayman you will learn how to observe, assist and supervise diving activities. Your diving skills will be tested and perfected. 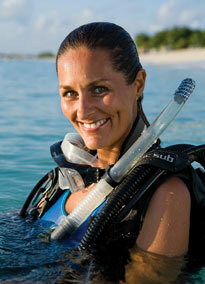 There are a series of academic lectures covering a variety of diving related subjects. You will complete a series of in-water stamina exercises, you will prepare an underwater map, perfect your rescue diver skills, your Scuba Instructor will also show you how to manage groups on boat dives and also give clear & complete dive briefings. This is a very serious responsibility that must be learned properly ensuring divers safety both on the boats and in the water is your number one concern as a PADI Divemaster. The diving is done from both shore and boats giving you a wide variety of dive sites throughout your Internship. Your next level is to become an OPEN WATER SCUBA INSTRUCTOR!!! Have a proof of 40 logged dives. Should you have less than 40 dives, then one week arrival prior to the Divemaster course is recommended and there will be a minimum charge of 10us per shore dive until you get up to 40 or 60us per 2 tank boat dives, space available.